Gov. 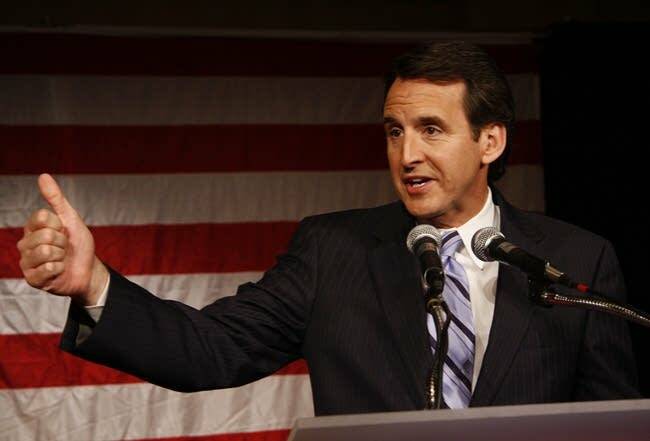 Tim Pawlenty is headed to Philadelphia this week to meet with President-elect Barack Obama. Obama and Vice President-elect Joe Biden are scheduled to meet with a bipartisan group of governors Tuesday to discuss how the economic crisis is impacting states. Obama has suggested that a stimulus package could include funding for states to take on infrastructure projects and pay for subsidized health insurance for the poor. Pawlenty's spokesman Brian McClung said the governor is expecting a robust discussion on how states are struggling to pay their bills. "We know that there are a large number of states that are facing upcoming deficits. The states, in almost every case, are required to have constitutionally balanced budgets, and so, as the states head into their budget period, they're going to be facing some real challenges. So they're going to have some conversations with the President-elect and Vice President-elect about that," McClung said. Pawlenty has said that he expects Minnesota to face a multi-billion dollar budget deficit when the latest revenue forecast is released on Thursday.